The following DPP Law investigation into driving offences reveals the full breadth of motoring offences in the UK. 48% of vehicles break the motorway speed limit and 86% of cars and speed on 20mph roads. In 2017, 90% of individuals taken to court for motoring offences went on to be convicted. Between 2007-2008 and 2017-2018, there was a 64% increase in death or serious injury through unlawful driving. Recent statistics state that 78% of those convicted of speeding offences are male, while women are more likely to drive while disqualified. Every year, around 85,000 people are convicted of drink driving. The most prevalent motoring offence is speeding. According to figures collected by the Department of Transport in 2017, 48% of drivers exceed the speed limit while on the motorway, while just 9% do so on single carriageway roads that carry the national speed limit. However, 52% were found to have driven at an illegal speed on 30 mph roads, and 86% do so on 20 mph stretches. Yearly recorded speeding offences have increased over the last 10 years from 126,693 offences in 2007 to 176,441 offences in 2017. Other offences that have risen in number are failing to supply the identity of a driver when required – which has grown from 24,250 in 2007 to 88,643 offences in 2017; a 265.54% increase. Vehicle registration and licence offences have also seen steady growth. Despite these figures, there have also been significant drops in a variety of driving offences in the last ten years, according to the Criminal Justice System. These include a fall in the use of a vehicle without third party insurance from 208,384 offences in 2007 to 92,343 in 2017 and drinking with excessive blood/alcohol measurements, which dropped from 71,455 offences in 2007 to 34,628 offences in 2017. In total, between July 2017 and June 2018, there were 725 deaths or serious injuries caused by individuals driving unlawfully – an increase compared to 10 years ago of 64% since the period between April 2007 and March 2008. When viewed as part of the wider UK crime landscape, death by unlawful driving is found to have been committed by 1 in 100 people. Comparatively, the offence of violence against another person is committed by around 1 in 40 people. Men are currently in possession of 72% of all penalty points in the UK – that’s 7.7 million of the total 10.6 million currently applied. Men are also guilty of 84% of drink driving offences and 69% of speeding offences where points were given. 78% of recorded motorway speeding offences also involved males, and they are the recipients of 82% of points handed out for using a mobile phone at the wheel too. Women, on the other hand, are more likely than men to be guilty of aiding, abetting, counselling or procuring, driving while disqualified and flouting pedestrian crossing rules. According to data collected by authorities from Northern Ireland, women are only responsible for 43% of parking-related offences. They are also in the minority for vehicle test certificate offences (25%), breaches of signs and signals (28%) and speeding (27.5%). Further statistics from Northern Ireland reveal that the majority of driving offences are committed by individuals aged between 18 and 49, with 18 – 29 year olds committing 38.6% of crimes and 30 – 49 year olds accountable for 40.8%. The usual penalty you can expect to receive if you exceed the speed limit marginally is a £100 fine and an order to attend a speed awareness course. However, if the speed limit is broken by 45% or more, you may be facing a driving ban and a considerable fine, depending on the outcome at magistrate’s court. Mobile phone use at the wheel has been the subject of a considerable crackdown recently, whereby now, an individual caught using their device behind the wheel will be fined a minimum of £200 and receive six points on their licence. However, the fine can reach £1,000 and you could be banned from driving depending on the circumstances of the offence. Driving in public without insurance can earn you an immediate £300 penalty and six points on your licence. Many police roadside cameras are fitted with automatic number recognition systems which will recognise an uninsured vehicle. Your car may be seized as a result if you are caught to be driving without insurance. It’s possible to be disqualified for driving without a licence. Those guilty of this offence include underage drivers, and penalties can otherwise include a fine of up to £1,000 and six points applied to the licence automatically when it is renewed. Penalties have remained relatively steady over the last few years, with a 1% custody rate for driving offences remaining in place throughout 2017 along with a 94% rate of fines upon sentencing. The number of individuals who committed motoring offences receiving points on their licences remained at 348,000. There has, however, been an 8% decrease in the number of offenders being disqualified between 2016 and 2017. With 12,344 instances in 2017, the North West is the leading culprit for drink driving offences. It also sees the highest amount of drug driving offences at 629 instances. Almost 2,500 people tested positive for drugs during traffic stops in Cheshire alone in 2015. The East is the prime location for speeding offences, seatbelt offences and defective tyres (476,467, 14175 and 2359 instances respectively) while the most petrol theft in the UK – 6,701 instances to be exact – took place in the West Midlands. Around 85,000 people are convicted of offences related to drink-driving every year in England and Wales. In 2016 alone, approximately 9,040 people were killed by a driver who was over the alcohol limit. As mentioned previously, men are the most likely to commit a drink driving offence, but are also statistically the most likely to be a victim of one too. Just over 74% of drink driving casualties in 2016 were male, with 3,870 of the 5,600 individuals who were aged 25-59 killed or seriously injured by a drink-driver during this period being men. 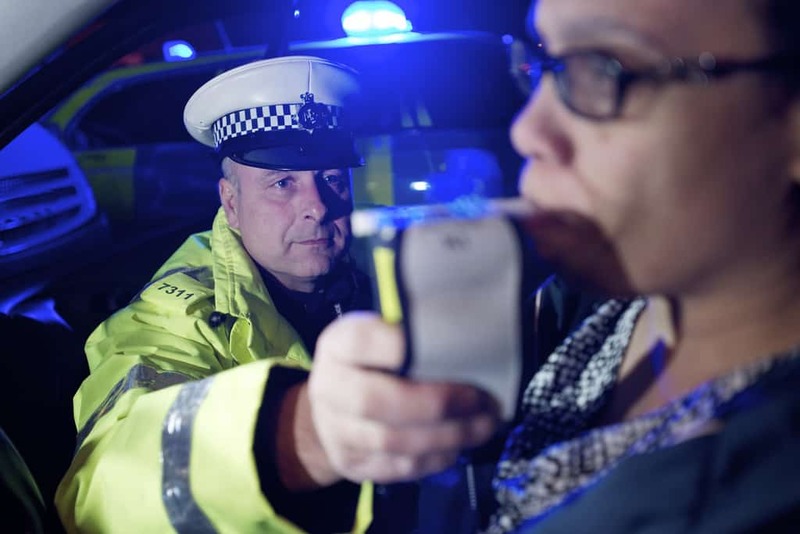 Within three years, just under 25,000 drivers in England and Wales provided samples for the police that tested positive for drugs. This includes 8,336 individuals driving under the influence of cannabis and 3,064 drivers testing positive for cocaine. In 2017, 1,000 people received driving bans before they were even legally permitted to be behind the wheel. In 2018, this number rose to 1,024. Only 696 instances of the same kind occurred in 2014, showing a significant rise in underage driving. There were even 33 driving disqualifications issued to children aged 13 and under in 2017 – a number that the RAC described as “the tip of the iceberg”.